Well, the bottle version is very much like the draught version, here are my rough and ready notes – which are surprisingly similar to my notes for the other…which means my sense of taste is still good! Amber Colour with a thinnish but disappearing head. The nose was sweet cereals and grain. Not a hugely distinctive aroma, but pleasant enough. In the taste I got a lovely full sweet malt flavour, with a good solid mouth feel and for a bottled beer, quite a restrained carbonation. Not vastly bitter, but does have enough bitterness to give a pleasing finish. A light malty aftertaste means you’ll always fancy another sip. In your face IPAs…I’ve defined a new style: HXPA. It’s sure to catch on, so just remember you heard it here first….you know me; any excuse to work up an eye-catching name for a brew. I’m sure the name T ‘n’ T has absolutely frig-all to do with explosives in any shape or form…so it’s still a bit of a mystery to me why these hops are so named. I’ve searched about quite a bit and don’t seem to be able to unearth much about them – save for vague allusions to tastes of “Intense red berry fruits”, “citrus”, etc. The brew has been in the primary fermenter for about 9 days now, so today I’ll be dosing with the dry hops. I may also sling in 30g of Nelson Sauvin that I kept in the freezer – or I may save them for my next brew which will crammed with boatloads of Citra. Plus there’s a dose of Munich and Vienna malt – just to further contribute to the body. I managed to get 21.5L of 1059 wort into the fermenter and am using US-05 yeast as I trust it and love it in equal measures. 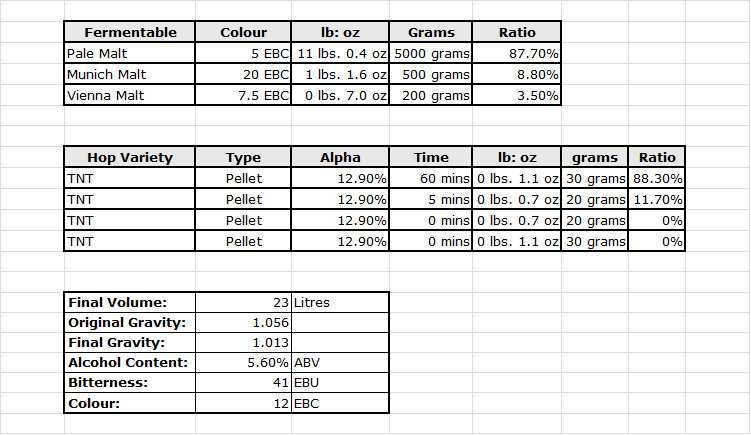 I followed my standard mashing schedule in the Braumeister (see previous post here: https://yeastismybitch.com/2013/11/12/homebrewed-thornbridge-kipling-clone-braumeister-version/) but pushed the sacchrification rest to 67C as I’d like to get a smidge more body in the finished beer. A picture of Bellerose, that I borrowed. If you don’t want me to use it, just let me know…. I enjoyed this beer at Ray’s cake shop in Burford: Eve had one of those Groupon voucher doo-dahs that entitled us to “afternoon tea”. I was heartily glad to learn that Ray considers that afternoon tea can be improved by the addition of a free glass of wine…these crazy continental types, eh? However, I was even more gladdened to find out that I was able to eschew the aforementioned glass of wine for a bottle of beer from the menu…alright: THE bottle of beer from the menu. I didn’t get to see the bottle, which meant I was able to appraise it objectively – albeit through several mouthfuls of cake. It was an opaque and beautiful vision of a Biere de Garde…a species of beer that I’m not overly familiar with but now wish I was more. In the glass it was yeastily cloudy, and bore forth a very appetizing fruity, phenolic, yeast-led aroma. In the taste was a melange (hark at me, I’ll be having a bloody “bain“, next) of fruity, yeasty goodness….very much along the lines of yeast-in-suspension Saisons and Weizens that I’ve sampled in the past; spicy, peppery fruity yeast-induced themes helped to make the whole thing a very enjoyable departure from the normal hop-mad styles I enjoy. The Brasserie des Source* is apparently not that far from where Ray claims to have grown up – but between you and me we all know that he’s a carpet-fitter’s son from Cowley who discovered that he could cook and put on a passable Accent de Francais. Here’s another rapidly written review for you to rapidly read. In a glass: EPA (English Pale Ale, if you wondered) is very pale indeed and very carbonated, I can see clean through it. 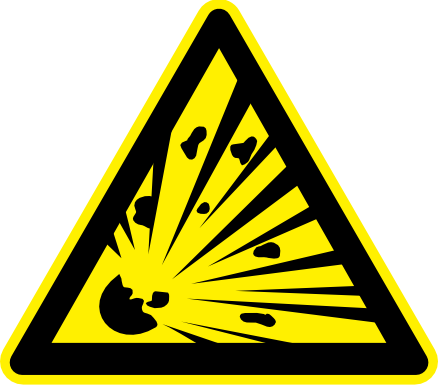 Where would we be without isinglass finings, eh? A slick and thinnish head. A promise of good things. The taste is all light, breezy and quite tasty. Lightly malty and with a little hint of spritzy hoppy bitterness that’s backed up by a nice dry bite that encourages further consumption. 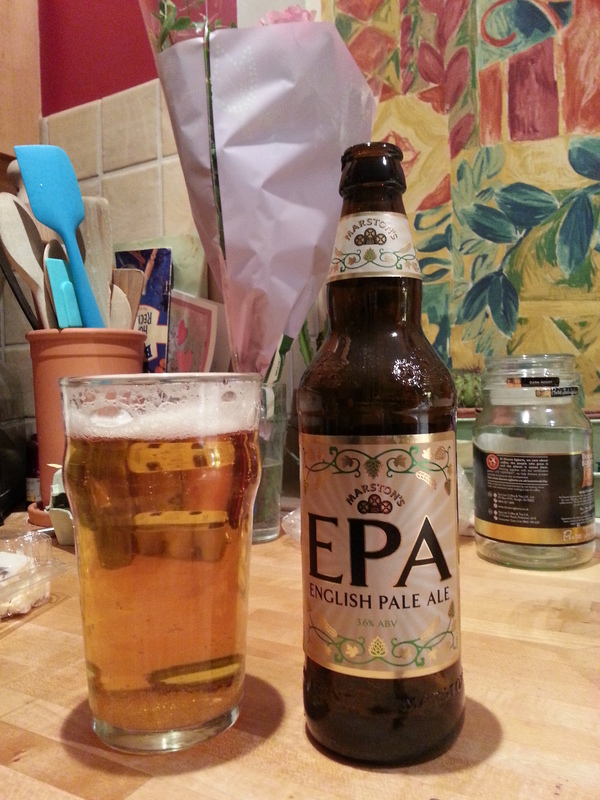 EPA isn’t terribly complex or fascinating, but it does the job when you want a “pint” – albeit out of a bottle. I drank my EPA after clearing a load of flood water and blocked drains – and it did a good job of refreshing me. I have no idea what the folks at Celt Experience have been taking, but if they could arrange for a consignment of it to be sent to me, I’d be very grateful. I thought Brewdog did some fairly unhinged things, but this is a step-up, indeed. 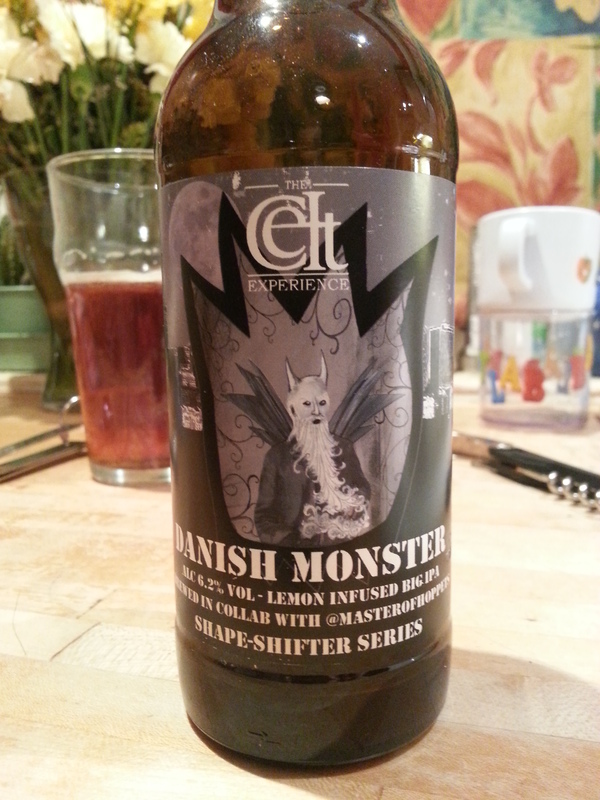 I like the crazy noire-style label on the bottle…there’s a touch of the “Nosferatu“, silent horror vibe about it. God, I don’t know whether I like this or not…but I’m beyond caring as I’m still trying to get the lemon aroma out of my hair, clothes and nostrils. I don’t actively dislike Danish Monster, but I can’t say I crave another, either…I think…maybe I do…? I don’t know. In a glass: dark straw-coloured with an attractive, plain white head. Another golden-ale-bitter style beer with the requisite cereal and grain aroma, backed up with sweet malt. In the taste: rounded, flinty dryish and quite refreshing, a little citrus note floats around at the back and accompanies a very nice uncompromising bitterness. 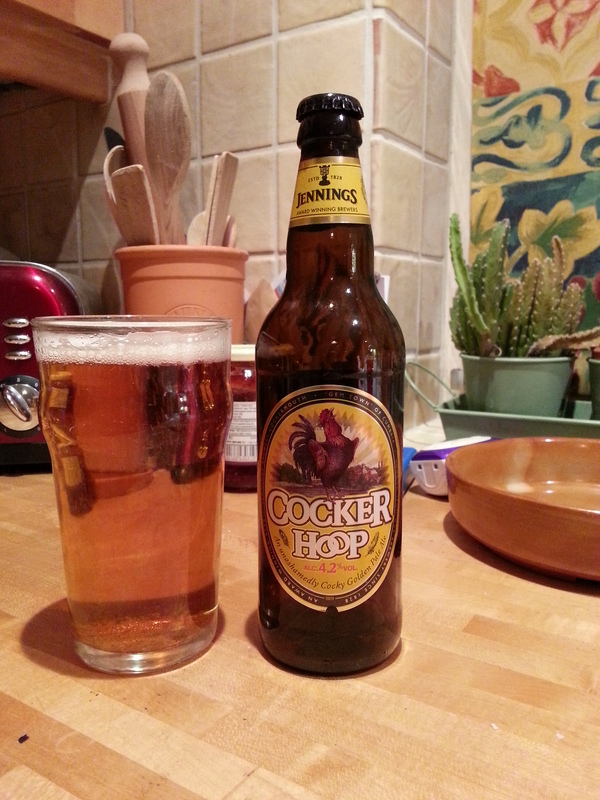 Cocker-hoop isn’t desperately complex by any stretch, but it’s tasty – and with its enjoyable dry finish makes it worth drinking again. Not my absolute favourite, as I like my malts to come through a tad sweeter, but I can certainly see why folks like and rate it. On draft, with a lower level of carbonation I bet this a different and more enjoyable animal altogether…the bottled carbonation makes the beer taste just a little bit seltzery. Post-gush. A bit of a shame, really. 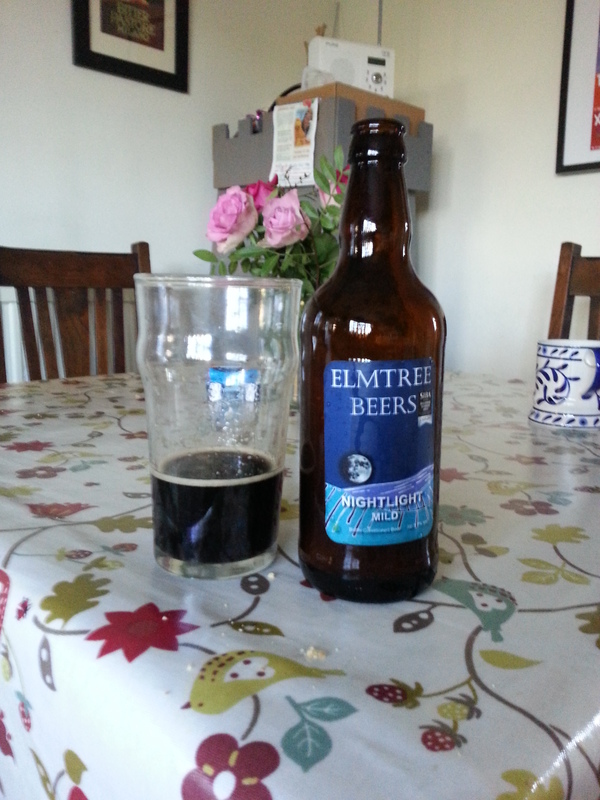 It was my bottle of Elmtree Nightlight mild. I just took the cap off and wham off it went. The photo shows precisely how much I had left after the event. So I’m afraid that this is a bit of thin review. It’s a real shame as I really enjoyed Elmtree’s Dark Horse Stout (https://yeastismybitch.com/2013/12/03/elmtreebeersdarkhorse/) but by the time the gush had finished there was so much yeast mixed into the beer I only managed to extract a few themes and ideas of what it’s supposed to taste like. I really didn’t want to tip it away as it’s not very often that I get to try a 5.7% mild…and I did so want it to be good – which it probably is when it’s not over most of the floor and worktops.